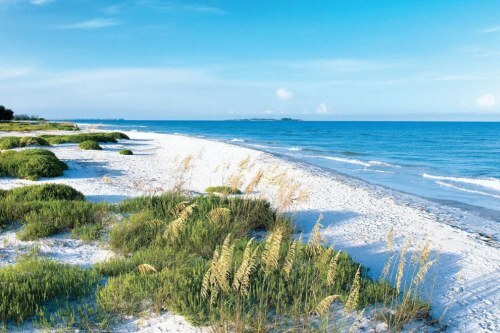 WestJet has dropped the price of a few non-stop flights in late fall and winter from Ottawa to Tampa Bay, Florida down to $239 CAD roundtrip including taxes. Dec 8 to Dec 15, 17, 22 -- new! Dec 10 to Dec 15, 17, 22, 24 -- new! The price will show up as $189 USD on Priceline. This will work out to $234 CAD when booked with a Canadian credit card, and including the typical credit card foreign exchange fee. On Priceline the price will show up as $189 USD roundtrip. Priceline is *always* in $USD. This will work out to $238 CAD when booked with a Canadian credit card, and including the typical credit card foreign exchange fee. This will work out to $239 CAD when booked with a Canadian credit card, and including the typical credit card foreign exchange fee. Update 11/12 - WestJet has dropped the price of a few more non-stop flights from Ottawa to Tampa Bay down to $233 CAD roundtrip including taxes for travel in December. On Priceline the price will show up as $182 USD roundtrip. Priceline is *always* in $USD. This will work out to $233 CAD roundtrip when booked with a Canadian credit card, and including the typical credit card foreign exchange fee. Update 12/1 - WestJet has dropped the price of a few more non-stop flights from Ottawa to Tampa Bay, Florida down to $228 CAD roundtrip including taxes for travel in December and January. On Priceline the price will show up as $175 USD roundtrip. Priceline is *always* in $USD. This will work out to $228 CAD roundtrip when booked with a Canadian credit card, and including the typical credit card foreign exchange fee. On Priceline the price will show up as $183 USD roundtrip. Priceline is *always* in $USD. On Priceline the price will show up as $174 USD roundtrip. Priceline is *always* in $USD. This will work out to $220 CAD roundtrip when booked with a Canadian credit card, and including the typical credit card foreign exchange fee. ottawa, yow, flight deals, westjet, united states, florida, tampa bay, tpa and north america. No Responses to "Ottawa to Tampa Bay, Florida - $220 to $233 CAD roundtrip including taxes | non-stop flights on WestJet"